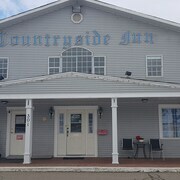 Situated in Princeton, this motel is 0.3 mi (0.5 km) from Princeton & District Museum and 2.4 mi (3.9 km) from Princeton Golf Club. There were charging stations for our electric vehicle. Restaurant had good food. Resort had reasonable rooms and amenities. 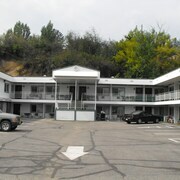 Easy access to down town. Coffee shop close by. Quiet area. Staff super friendly and helpful when looking for things to do in town. Where to find Princeton hotels near an airport? Where can I find hotels in Princeton that are near tourist attractions? 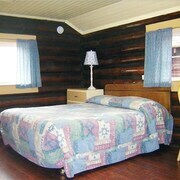 Are you traveling through Thompson Okanagan and are looking for somewhere to stay in Princeton? About 6 Expedia-listed hotel and apartments are within 0.1 kilometres (0.1 miles) of Princeton's center. 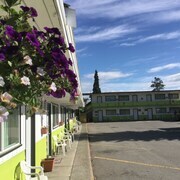 An essential ingredient to trouble-free vacationing is convenience, so have a look at the Ponderosa Motel and Riverside Cabins, which are located within 1 kilometre (0.6 miles) of Princeton's city center. The Sandman Inn Princeton is located 2 kilometres (1 mile) from downtown Princeton. 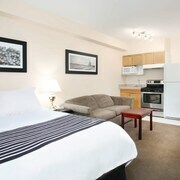 Alternatively, the Canadas Best Value Inn & Suites can be found 1 kilometre (1 mile) away. 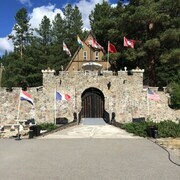 If you'd prefer, you could make a reservation at The Villager Inn or the Princeton Castle Resort. While you are in Princeton, ensure you have enough time to visit Thompson Okanagan's other attractions. Thompson Okanagan is marked by rural landscapes, beaches, forests and rivers, and common Thompson Okanagan attractions include old towns and history museums. Common pastimes in this particular part of Canada include snowboarding and skiing. 60 kilometres (37 miles) to the east of Princeton is Summerland, where you can enjoy the Giant's Head Mountain and Powell Beach. 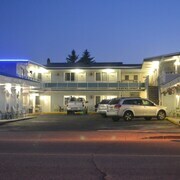 Expedia-listed Summerland accommodation options include the Summerland Waterfront Resort & Spa and Pleasant View Motel. 65 kilometres (40 miles) to the northeast of Princeton is Peachland, which is home to the Pinewood Guesthouse and A Day's Dream B&B. Rattlesnake Island and Parrot Island Sanctuary are a couple of the more popular attractions to explore when you're in Peachland. West Kelowna is home to around 29,000 residents, and is situated 80 kilometres (50 miles) northeast of Princeton. Local attractions worth checking out include the Shannon Lake Golf Course, Constable Neil Bruce Sport Fields and the Little Straw Vineyard Youl'll find a nice selection of lodgings here that suit most tastes and budgets. 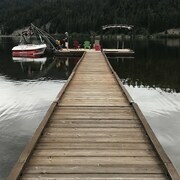 Some of the most popular options here include The Cove Lakeside Resort, Casa Loma Lakeshore Resort and Lake Okanagan Resort. Two more hotel options are the Holiday Inn West Kelowna, Best Western Plus Wine Country Hotel & Suites, Super 8 West Kelowna, BC and Monkeys B&B. 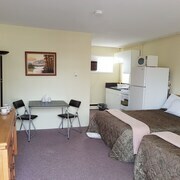 If you are planning on arriving or departing via Penticton Regional Airport, you might like to book accommodation at Royal Bed And Breakfast, or Penticton Lakeside Resort, Convention Centre & Casino, which are both nearby. What are the most popular Princeton hotels? Are there hotels in other cities near Princeton? 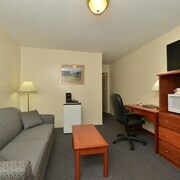 What other types of accommodations are available in Princeton? Explore Princeton with Expedia.ca’s Travel Guides to find the best flights, cars, holiday packages and more!